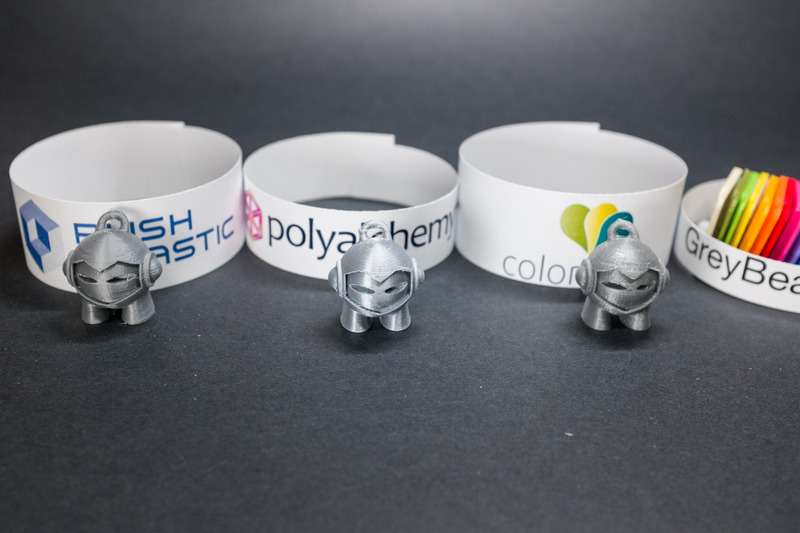 Push Plastic Silver is excellent silver color with a great metallic luster. 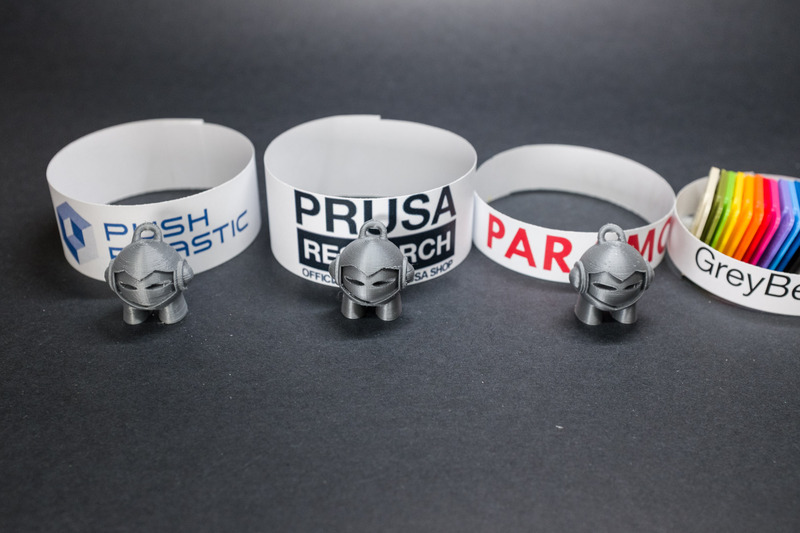 If you are looking for a quality USA made silver filament then check out Push Plastic. Try printing a jet, sword, or missile with this awesome color. 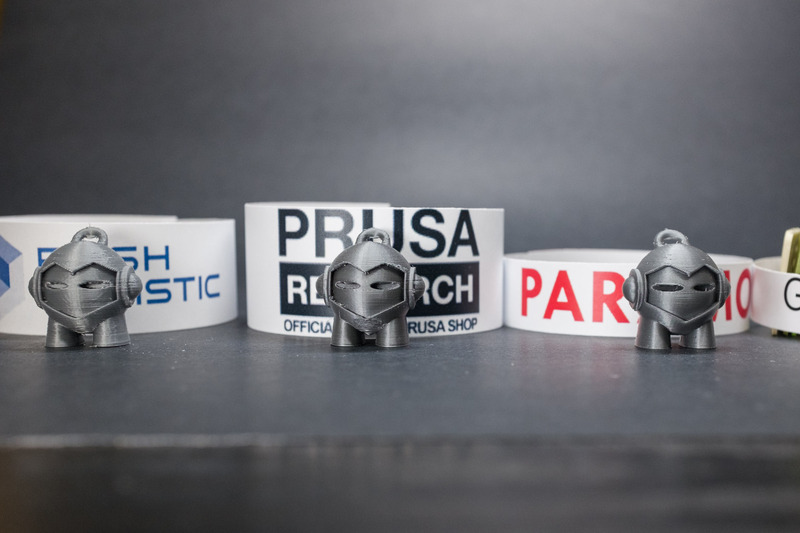 Push Plastic has a very well rounded selection of colors which is great news if you are looking for one stop shopping. 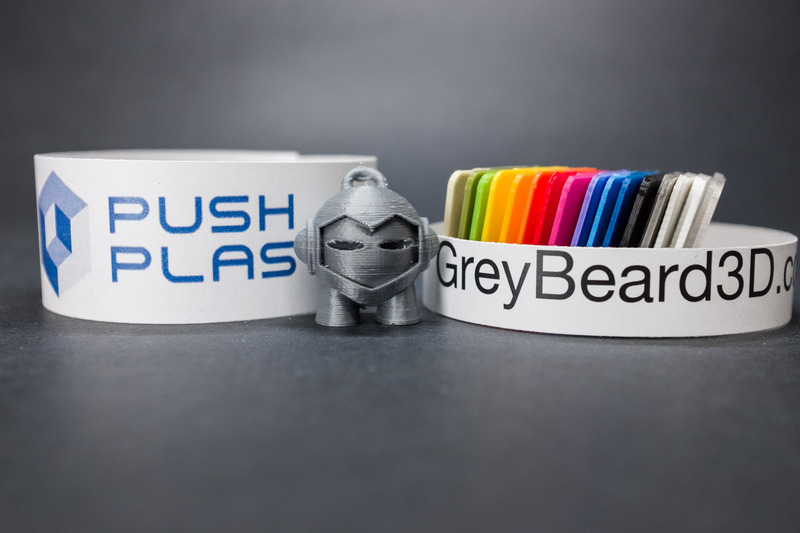 Push Plastic PLA is usually sold in 1KG rolls on a plastic spool but they also have larger weights available up to 25kg! In full disclosure I was sent 200g samples of the PLA. The good thing about the large samples is I will be able to add pictures of bigger prints later . The 200g samples are very easy to tangle, I recommend printing the spool holder or buy a full 1kg spool.